“Basically, I could continue to smoke as much weed as I wanted and the DMV would be none the wiser,” said Colin McCallin, a Denver defense attorney who specializes in DUI laws. But the legalization of recreational marijuana in 2014 introduced a whole new set of questions. Among those are how an edible affects driving compared to smoking weed and whether a regular user can smoke more than a novice and still be in more control of a car. The Colorado State Patrol started measuring marijuana-related traffic citations in 2014, said Sgt. Rob Madden, a state patrol spokesman. That year will serve as the baseline for years to come. In Washington state — where recreational pot sales have been legal since July 2014 — state patrol officers separate DUI charges into alcohol and drug categories. From there, the office’s crime lab will categorize the drug — whether it be pot, prescription pills or others — based on the request from the officer. While Colorado law enforcement does test for different drug categories, the charge falls under a general DUI category. 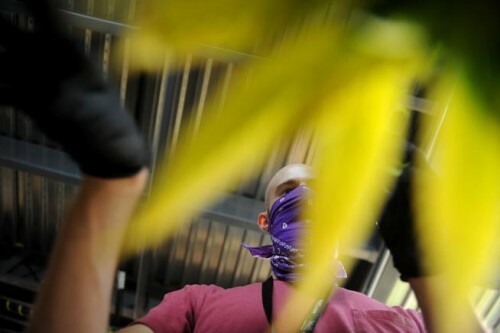 Madden said this is because there are many labs in Colorado that do toxicology testing depending on the law enforcement agency, whereas Washington uses a central lab that makes data easier to track and collect. In marijuana-specific cases, the Washington department can also test whether the THC in the driver’s system was active or whether it had been metabolized. A novel way to educate: Why is this Denver attorney giving away rolling papers? Because of the way Washington police test for intoxication, the state is able to keep more in-depth statistics on impaired driving. The Colorado legislature has determined that the legal limit for impairment by marijuana is 5 nanograms of THC in the blood. But that limit is a presumption only, unlike the blood-alcohol limit that affirms a driver is drunk if their blood-alcohol concentration is more than .08 percent. Melanie Brinegar was pulled over in early 2015 for having an expired license plate. The officer smelled marijuana and Brinegar, who works in a dispensary, admitted to using it for medical purposes. A blood test later found that she had 19 nanograms in her system, a fact she and her attorney, McCallin, did not dispute. Police also asked Brinegar to perform two sets of roadside sobriety tests. The Colorado State Patrol and the Colorado Department of Transportation are getting more police officers trained as Drug Recognition Experts, a certification which helps them understand how various drugs impact drivers. Statewide, there are 229 officers certified as Drug Recognition Experts ,and 63 are state troopers, said Glenn Davis, CDOT’s highway safety manager. Thus far, law enforcement measure marijuana impairment through a blood test. But a California start-up is developing a hand-held breath test device for marijuana impairment that has piqued the interest of Colorado law enforcement and legislators. Mike Lynn of Hound Labs, Inc., stands at the intersection of people who want more answers regarding pot and driving. Lynn also is an Oakland emergency room doctor, a reserve deputy sheriff, and a clinical faculty member at the University of California San Francisco. 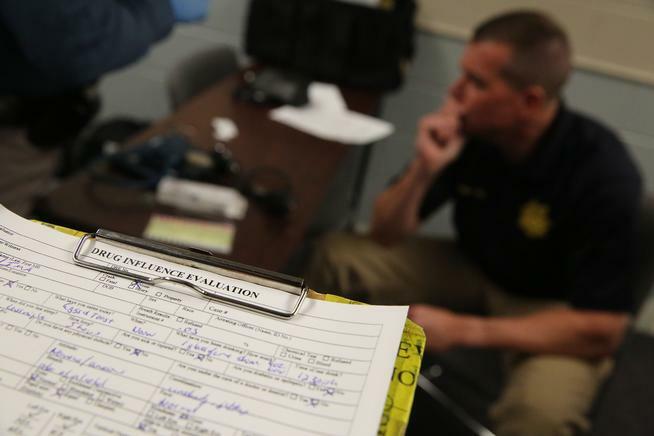 His research shows a breath test can accurately detect recent marijuana usage. The study did not add other road hazards such as drivers slamming their brakes or deer jumping in front of cars. 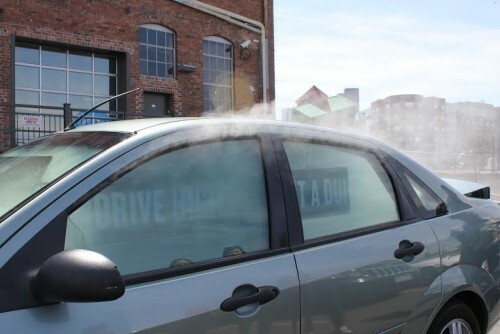 CDOT created a car that fills with smoke as if people are toking inside. It draws attention, and once the smoke clears a message appears warning that stoned drivers will be charged with DUI.